The Intermediate level quiz has a multiple choice version too (with fewer questions). Both versions can be downloaded in Word format if you want to adapt them. The quiz is accompanied by a 10-page teachers' guide (scroll down) full of ideas on how to use the quiz in class and to exploit the language from the quiz. As usual, follow-up activities for vocabulary review and practice will be posted in a few days. Check back in the New Year. 2. Amid growing resentment towards immigrants, centrist Emmanuel Macron won a decisive victory in the French presidential election. His unusual marriage soon aroused the interest of the press. What’s ‘unusual’ about it? 3. In a scene captured on camera, a passenger was forcibly removed from an overbooked flight in April 2017 although he didn’t pose any security threat. On which airline did the incident occur? 4. 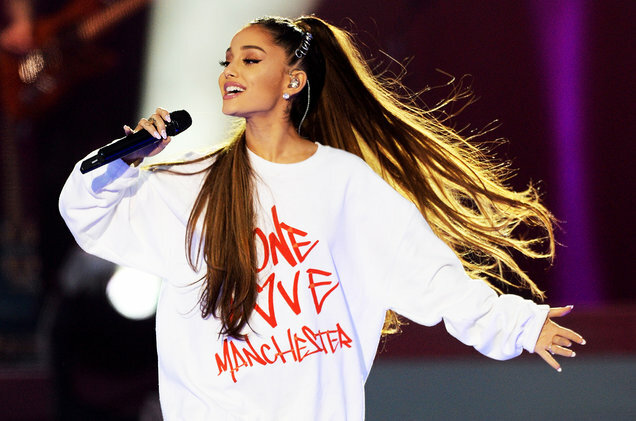 In the deadliest attack on British soil in more than a decade, 22 people were killed after a bomb went off at Ariana Grande’s concert. In what city did the terrorist attack occur? 5. A brand new organ was discovered hiding in plain sight inside the human body. Originally identified by Leonardo Da Vinci, it was not considered an organ in its own right until 2017. What is it called? 6. The British government promised that Britain’s divorce from the EU wouldn’t be acrimonious as the country began the lengthy process of withdrawal from the bloc. How many countries will remain in the EU after Britain’s departure? 7. What pop star set the social media buzzing with excitement in 2017 and broke the record for the most liked post on Instagram (11 million likes) when she announced she was expecting twins? 8. A controversial order issued by the US government in March 2017 caused much inconvenience to airline passengers. The UK soon followed suit and placed similar travel restrictions. What did both countries ban from flights? 9. In November 2017, Prince Harry popped the question to his girlfriend of 16 months, but not before receiving the Queen’s blessing, as required by protocol. What is the lucky girl’s name? 10. When FC Barcelona added a release clause to their contract with Brazilian forward Neymar four years ago, they didn’t expect any rival club to be able to afford the €222m release fee. What football club signed Neymar paying the astronomical sum in 2017? 11. What event held in Barcelona in October 2017 turned violent after the Spanish government sent in the police? 12. Japan’s Princess Mako announced in September 2017 that she would renounce her title in order to tie the knot with a commoner. What does her fiancé do for a living? 13. NASA awarded $15,000 to Dr Thatcher Cardon, who came up with a creative solution to a very real astronaut-related problem. What problem? 14. What tennis star found out that she was eight weeks pregnant two days before the 2017 Australian Open and went on to win the coveted trophy? 15. Scientists made a startling discovery of the eighth continent submerged beneath the Pacific. What existing country does the lost continent lie under? 16. What Hollywood producer was fired from his namesake company in October 2017 following multiple allegations of sexual assault? I just cannot download the advanced quiz as a Word document. Thank you, Leo, for this wonderful quiz tradition! Thank you for your comment, Anat. Judging by your comment ("tradition"), you've used it in the past. Glad to hear. Thank you for this great quiz to use in class to look backk on the year that ended. Happy new year. Thank you, Tami. Happy New Year! Leo, my students really liked the quiz, thank you so much! I used it as a trivia in class, a competition between groups. I also used your idea of matching the questions with the answers (when they checked their answers), that was an awesome idea. One comment: the answer to the question of the number of EU members after the UK's departure should be 27 and not 28 (in the first answer key - intermediate level). This was great Leo. A really refreshing addition to our class yesterday. This worked really well with my C1 class (advanced version). Thanks a lot for the great teaching tips to exploit it in different ways! I'm happy to hear. Do check out the follow-up activities (my most recent post). Do check out the follow up activities - plenty of stuff for another 2-3 lessons. I always kick off the New Year with your Quiz, the students and I both really enjoy looking back over the previous year's events. On the Intermediate multichoice version I found that questions 14,15 and 16 were missing. Thank you. Happy to hear! That's right. I was kind of aiming for smaller and weaker groups with that version - I thought that not everybody would know the answers and this might be potentially frustrating and distract from the main goal (focusing on the language). Also, I thought for some younger learners, the last question ("sexual harassment) but not be entirely appropriate. However, I do have a full multi-choice version and will be happy to send it to you. Could you fire off a quick message to me via the Contact Form here so that I have your email address? Thanks Leo! I think that's a great idea to make the quiz appropriate to age and level. I noticed that my students ( professionals from a range of industries) were clueless about the EU and made some pretty inaccurate guesses on membership. However, on the gossip and scandal questions they were spot on! I know what you mean. My students were also spot on when it comes to celebrity gossip and scandal, but knew almost nothing about science. So that you don't think that I knew much about the items featured in the quiz - I usually do my research in December and discover these things myself. In short, my students and I came to a conclusion that science news tend to get under-reported as opposed to politics and scandal.